July 4th we had a huge neighborhood party and parade at our house and the kids had a blast and played really hard and had lots of sweet treats so the next day when Ezra told me his stomach was hurting I didn't really think much of it. By that evening when we picked him up from school he was not feeling any better/had fever/ and complained of lower R quadrant abdominal pain. Having had my own appendix taken out I had high suspicions that Ezra was in trouble so we rushed him to our local after hours clinic which then promptly sent us to the Emergency Room at Cook Children's hospital. After a VERY long night of blood work, an ultrasound, and a MRI they finally decided to take Ezra to surgery the next morning at 7:00am. Ezra had an amazing surgeon named Dr. Thomas who did an awesome job removing his appendix. 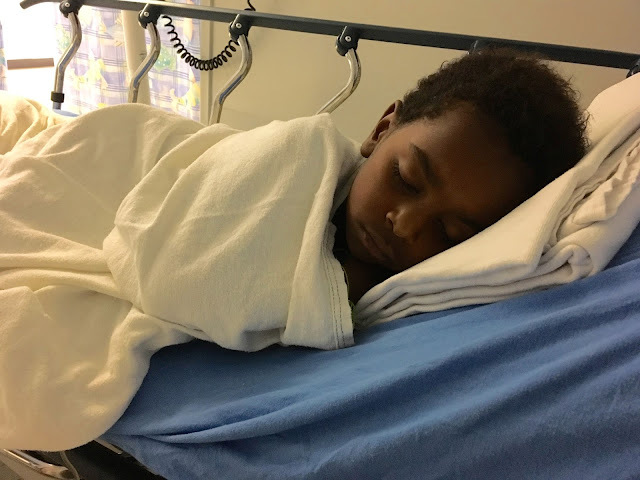 Ezra had to spend the night and most of the next day in the hospital to recover but he was super brave the entire time and never cried once. He was a stud. Libby was LOVING it! She got to eat all of the popsicles and jello she wanted because when they brought something for Ezra to try if he didn't want it Libby got to eat it. The staff and volunteers at Cooks were AMAZING and Michael and I just couldn't have been more pleased with our experience there. Ezra is doing just fine and is just happy that he can go swimming again now that his incisions are all healed up. Waiting for results of all the tests. This photo about sums it up. Poor Ezra is in pain and Libby is having the time of her life. 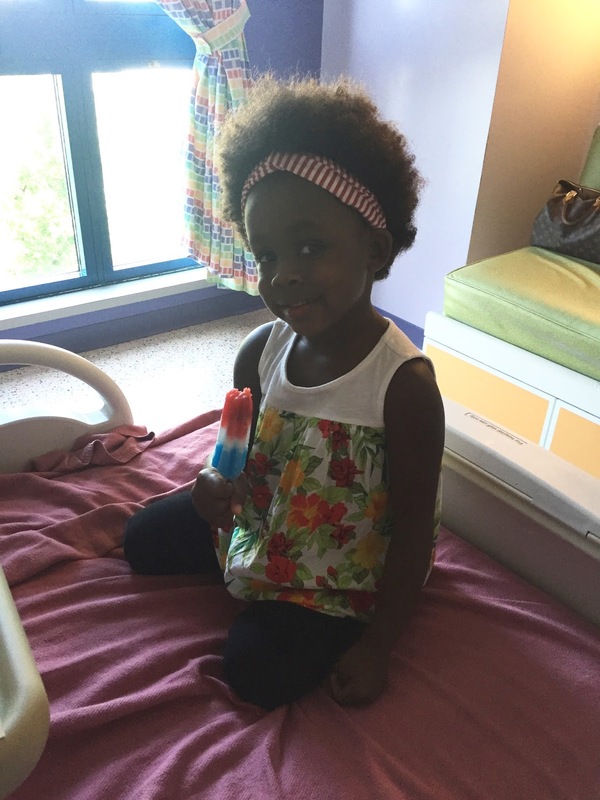 Hospital popsicles are the BEST! Ezra hated this pulse oximeter but did think it was cool because he looked like ET. Day 2. Up and moving around. Cutest little patient ever!